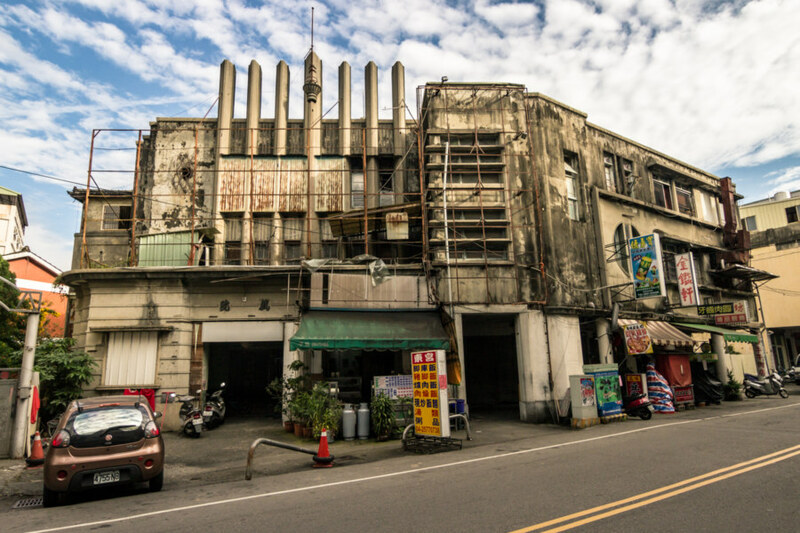 An abandoned 60 year-old movie theater on a main thoroughfare in Dongshi, Taichung. 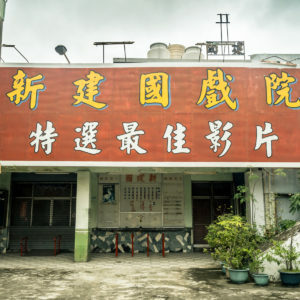 Dōnggōng Theater 東宮戲院 is located in Dongshi, a Hakka majority township in mountainous central Taichung 台中. 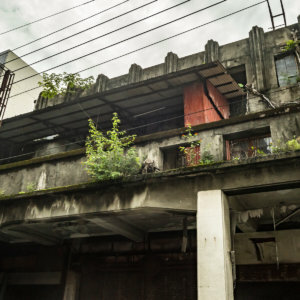 Dongshi (or Tungshih in the older Wade–Giles Romanization system) is the gateway to the densely forested interior and was a major center of the lumber industry in Taiwan prior to its decline in the late 1970s and early 1980s. Disaster struck in 1999 with the devastating 921 Earthquake. 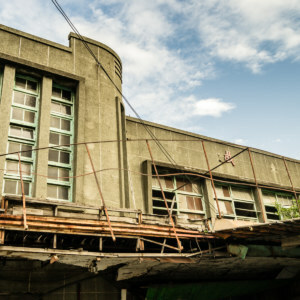 Dongshi was among the worst hit; over 300 people lost their lives and hundreds of buildings collapsed—but not this grand old theater. 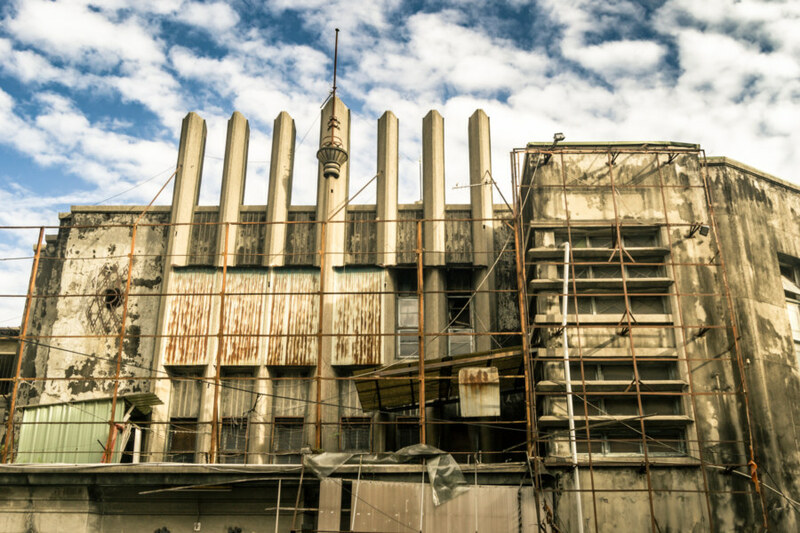 A closer look at the distinctive facade of the historic Donggong Theater. 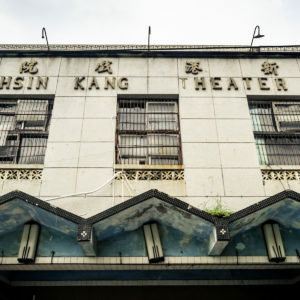 Business records indicate Donggong Theater opened for business in 1960, no doubt catering to the tastes of the many loggers and townspeople flush with cash during the boom times of the Taiwan Economic Miracle. This post (in Chinese, of course) describes the theater in its glory days, relating the tale of a one-armed uncle who would ride around town with a megaphone announcing the films now playing. I wasn’t able to scare up much more about this place apart from this brief introduction. 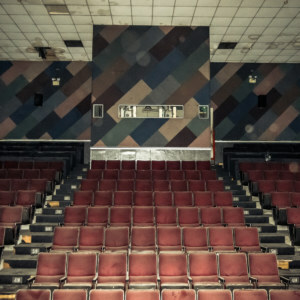 You can’t miss this old theater if you’re cruising through town but not much seems to have been shared online about its history. 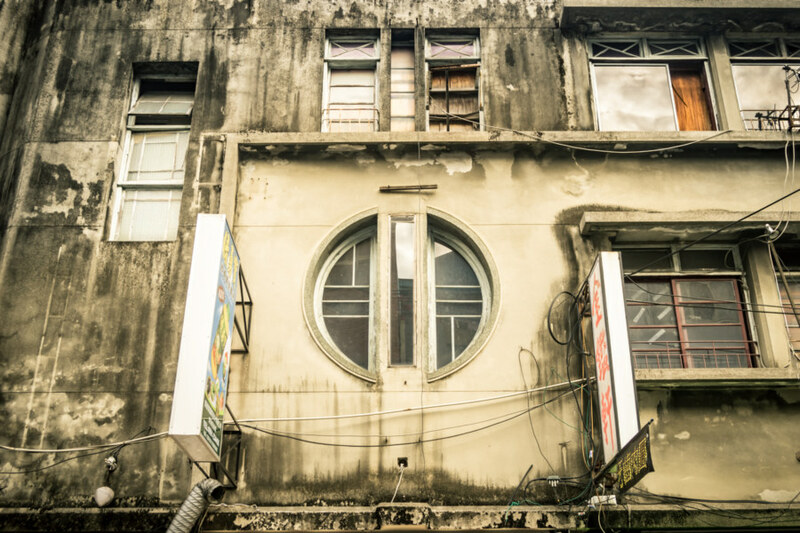 A peculiar round window on the side of the old theater. Donggong’s architectural style is a curious mix of influences that I am almost at a loss to describe. 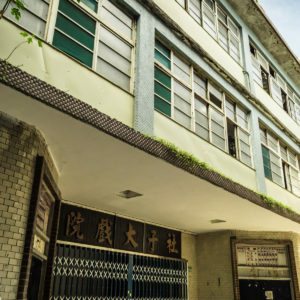 It was built not long after Xinxing Theater in Xinpu 新埔 but shares only a vague hint of pre-war Taiwan in the shape of the windows and a modernist emphasis on geometric forms. 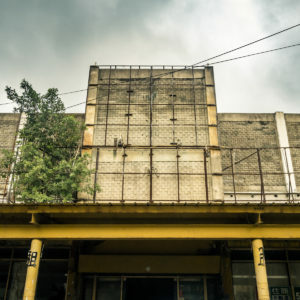 Whatever the case, you aren’t likely to forget the unusual sight of the fortress-like facade! 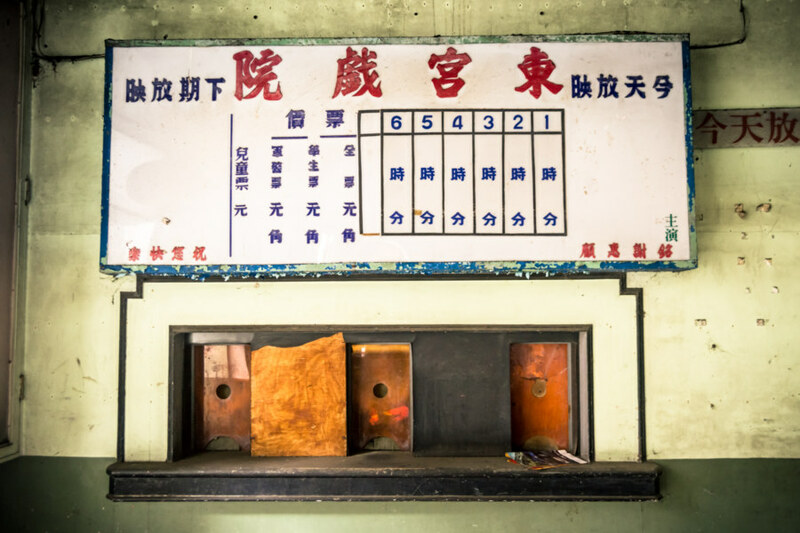 Ticket booth at the old Donggong Theater. The ticket booth has some additional features that deserve a mention. The sign indicates six shows daily, with films now playing 今日放映 listed on the right. Ticket prices 票價 are denominated in both yuán 元 and jiǎo 角 (cents), the latter being a unit no longer in common use. An oblique look at the impressive Donggong Theater. Beyond that I haven’t much to convey. I was unable to gain access to this theater as it is fairly well-secured and a restaurant operates out of the old lobby. Sometimes people seem friendly and approachable but I earned some rather suspicious glares from the couple working there as I passed through with my camera. 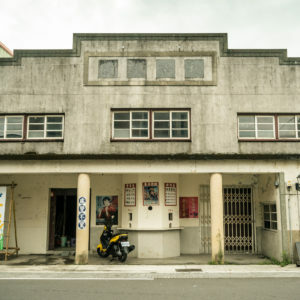 If I ever make it inside or find more about this theater I’ll be sure to update this post—but for now, that’s all I have to introduce one of the more unusual historic theaters of central Taiwan. Interesting! Thanks for sharing your point of view of this historical theater. Believe or not … I was born in 1972 at Dongshi, and our family used to the one of share holders of Donggong Theater. Even I am living at Taipei now, but my parents are still living at Dongshi. I also the same feeling as yours, this theater has its potential to be another great spot of Dongshi. 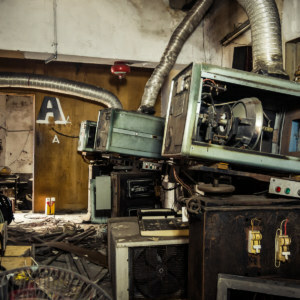 It’s shame, I have not asked my family about the possibility to re-structure this historical theater, because I am not sure if our family still have any share of this theater anymore. 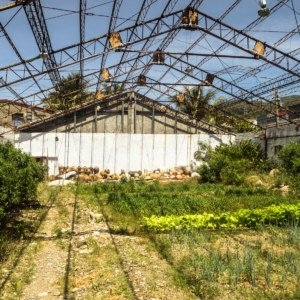 But your article inspired me, I will try to figure it out and see if there is any possibility to re-structure this building. Just found your blog! 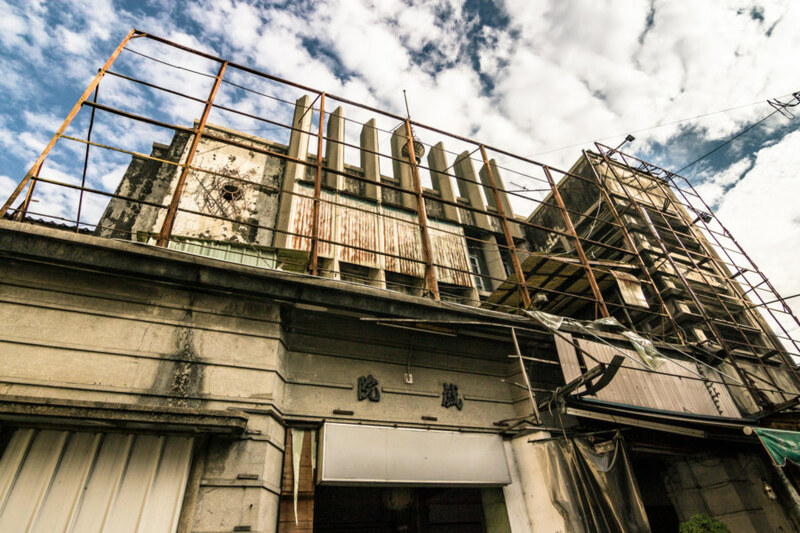 Thanks for posting all sorts of your adventures in Taiwan! 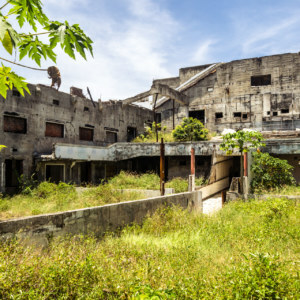 My family is from this from this town and i have always wondered what it looks like inside or what is left of it. My parents know whats inside but I personally dont. I always pass by it when visiting. Maybe one day ill get to see whats inside.